The number of the so-called eternal students in Greek universities and technical colleges has doubled since 2003, while one in ten graduates migrates, according to Ministry of Education figures. The Greek Ministry of Education conducted a study in order to assess the state of higher education and carve out a strategy for the next four years. Regarding the number of eternal students — a unique Greek phenomenon — in 2003 there were 163,037 students who were remaining registered without showing any inclination to graduate. In 2014, their number was doubled (328,742), mainly due to the economic crisis, as education officials estimate. Previous governments had implemented laws that would stem the phenomenon in order to reduce the number of inactive students. However, the SYRIZA-ANEL administration repealed all pertinent bills and even allowed several eternal students who were erased by university catalogs to return. According to the study, one in ten of those who graduate from Greek universities chooses to move abroad to work. Also, the study found, that the Greek higher education system is not connected to the labor market, with campuses not allowing company representatives to enter the premises to recruit. 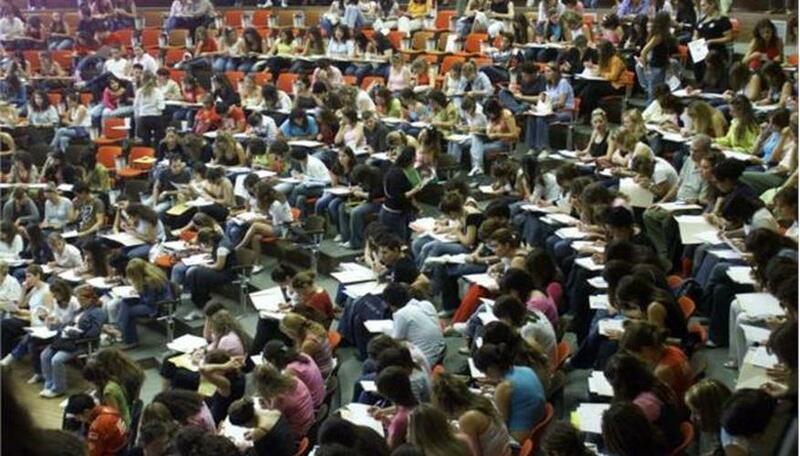 Other than the economic crisis of recent years, other factors that contribute to the poor state of Greek higher education institutions are campus management problems, the structure and quality of teaching, the difficulty in lessons taught for which students were not prepared during high school and particular circumstances such as the entrance exam system that forces many students to enter universities and colleges in cities away from their home.